Mahammad grew up in Azerbaijan when it was part of the Soviet Union. His parents noticed his aptitude and interest in learning, and they supported his education although it required a lot of sacrifices. He received encouragement from his teachers and decided to become an English teacher to help his country advance and turn students into global citizens. Having been exposed to modern teaching methods as a participant of the US Government’s Teaching Excellence and Achievement Program, Mahammad follows a student-centred approach to teaching. At Z. Aliyeva school #3 in Balaken he teaches English for communication rather than for reading and doing grammar exercises, and uses interactive methods and multimedia instead of old-style textbooks. He also holds a free English conversation club outside of school hours and helps local English teachers improve their language skills. In 2013 he won a national Teacher of Excellence award, although his superiors do not agree with his modern ways of teaching and the fact that he opposes the usual bribery system. 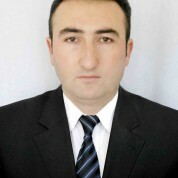 He is also involved in national conferences for training Azerbaijani English teachers on how to conduct interactive lessons and make use of computers and online resources in their classes. Mahammad is also a finalist for “The Best Teacher of 2013 and 2014 Award” in his country of Azerbaijan.